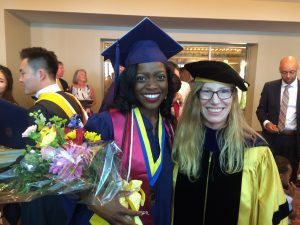 Two of our Undergrads, Chianti Brooks and Kyla Smith, graduated this May. Congrats to both! Kyla and Dr. Adamson at the graduation. 201 Eberhart Bldg, 321 McIver St.